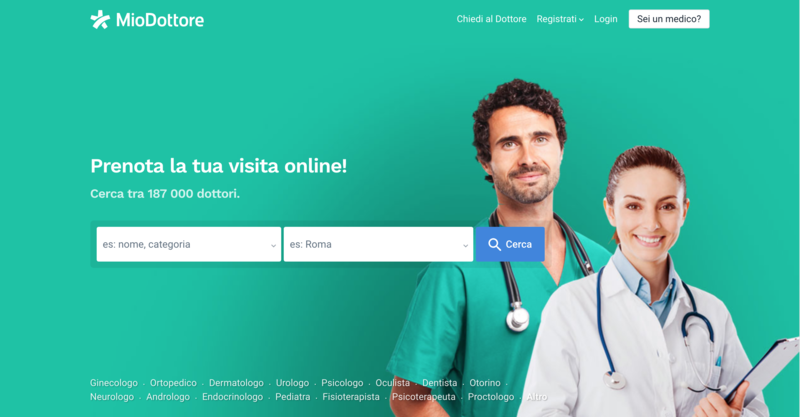 MioDottore is the largest Italian website for online booking of doctors' visits. It is part of Docplanner group, the worldwide market leader in this sector, with offices in 6 countries and local websites in 19 countries. We allow patients to find doctors based on their needs and on reviews, and to book a visit with them, online, for free. We also provide a SaaS to doctors to manage all their patients. Think booking.com for doctors and patients. "A lot of times, people don't know what they want until you show it to them." - Steve Jobs. This is why we are looking for a Marketing guru who has the brains and guts to do what it takes! Then this opportunity may be for you. work with the Global VP of Marketing, the Country Manager Italy, sales teams and a team of 2 Marketing Specialists to achieve results. an opportunity to grow with the company. Hard to believe? Find out by yourself. Apply and talk to us.